When I was younger I loved reading (clearly still do!) and would read anything that was put in front of me. Fast Forward and Smash Hits magazines were my guilty pleasure and the news was mainly about Take That and the Backstreet Boys. I only ever listened to ‘the news’ via Newsround. That was when I knew TV as I knew it was over for me and it was all about grown up tv… clearly back in the days before Sky and the Internet! 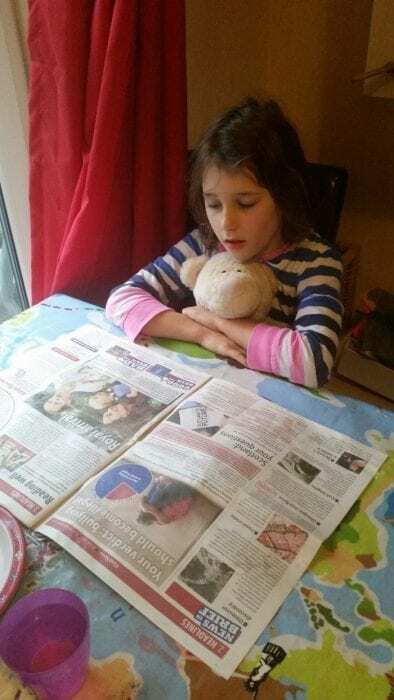 Things are slightly different these days as children have the ability to find out about current affairs in many different ways, but I love the idea of First News, the weekly newspaper for young people, sent through the post for your child to flick through over their breakfast! Perfect for ages 7 years upwards. The edition we were sent, featured articles regarding the Scottish Referendum, fun trivia, World news and the mandatory Sports back pages. I love the fact it is set out like an actual newspaper as we know it. The fact that your child can receive their own newspaper weekly, addressed to them is quite exciting. We all know how lovely it is to receive something that is not bill related through the post! I love reading actual books and newspapers, online apps are great but there is no other feeling like running your fingers over paper and ink and flicking through pages. The issues are £1.50 each but subscriptions are available too, which would make a great Christmas present – available in print or to read online (on a tablet). Different subscriptions are available such as 52 issues for £57.99 in the print version. Sim’s Life is able to offer you the chance to win a 3 months subscription to the magazine. To enter the giveaway, simply use the Rafflecopter options below… Good Luck! Giveaway ends at midnight 25th November 2014. The winners will receive a 3 month subscription to First News. We don’t really read newspapers/magazines anymore as so much is available online. Hubby sometimes buys a paper to read on a train journey and the kids receive the free Lego club magazine bi-monthly. I read The Times, I get it every day (subscription) as I love catching up on the news with a cup of coffee! I don’t buy newspapers because everything is available online. I check the local news website and the Guardian. I like to read our local daily paper. To be fair I don’t get too much time to read actual physical papers. Most of my news comes from the radio or online. 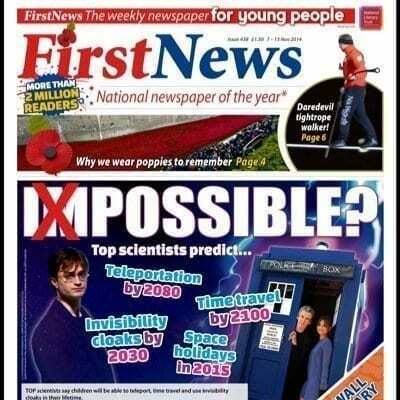 Read First News at school and like the variety for children – lots of good online resources too. If I won subscription, I was give to granddaughter who would like it. I usually read the local newspaper, but I like to read them all and contrast information! Tend to ring The Sun on the tablet, because they take things too serious.